Organize Your Cables and Wires! Is your PC case a tangled mass of cables and wires ? Tired of untangling cables and wires that make a mess of your system and components? 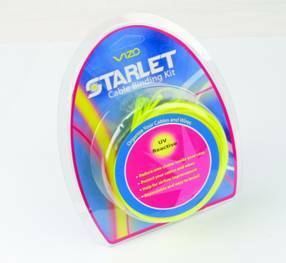 The Vizo Cable Binding kit is the best partner to organize your cables and wires and make your PC have a gorgeous and clean look. It will also improve airflow, reducing the heat inside the case.